A 3D simulation of production and material flow in a factory, created in Autodesk's FactorySuite. At Nissan’s Sunderland manufacturing plant, it’s been going on since 1999. At Ford, it’s been happening since 2000. Another major manufacturer – BAE Systems – is a more recent convert, with a pedigree in the technique that only goes back as far as 2009. The ‘it’ in question? Computer-based simulation but, emphatically, not the simulation of products under development, where the technology is used to hone designs and improve performance. Instead, the simulation in question is of manufacturing processes, warehouses, and material replenishment processes. Systems, in short, not things. The result? Improved product manufacturability, slicker replenishment processes, and assurance that theoretical capacities – whether of manufacturing processes in factories, or logistics processes in warehouses – will actually be achieved in practice, under conditions of peak demand. Take Ford, for instance. 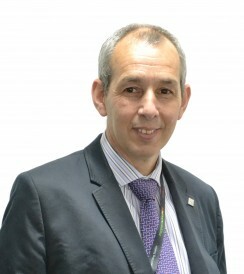 John Ladbrook, a Ford UK manufacturing engineer, and the company’s technical simulation specialist, explains the motor manufacturer uses simulation to model and test alternative factory layouts, using Witness, a tool from specialist Lanner Group. Ford UK uses Lanner Group's Witness system to simulate and optimise factory layouts before committing to ideas in the physical world. At Nissan, meanwhile, simulations act as an alternative to real-life experimentation on the factory floor, particularly at times of peak demand when such experiments – intended to deliver a long-term capacity gains by fine-tuning, say, robotic processes – would absorb scarce manufacturing resources. But whereas such simulation was once something of an arcane art, carried out by specialist engineers using hi-tech powerful computers, the past few years have seen a move towards process simulation as an everyday activity for everyday manufacturing companies. that most companies have neither the people or time to devote to building complex programming-intensive computer models,” says Lanner Group’s business development manager Oliver Bird. Simulation users are find that reduced time-to-answer equates to a commensurate reduction in time-to-market. In particular, simulation can deliver improvements in the speed and cost of manufacturability assessments, either during the design or immediately prior to product launch. At Ford, for instance, explains Ladbrook, a number of recent simulation exercises have studied the impact of the introduction of a new product – such as an engine, or a transmission – on existing products and material flows within the plant. For ‘learned a great deal’, read detailed improvements to efficiencies, material flows, and costs. Another use, as at Nissan, is to simulate the quantities of special purpose racks, containers and stillages required to support the introduction of a new product. In particular, the racks, containers and stillages cycling between suppliers and automotive customers in closed-loop circuits. At Jaguar Land Rover, Dassault Systèmes’ DELMIA simulation solution is used extensively. And, as part of Dassault’s complete Product Lifecycle Management (PLM) suite, the DELMIA-based simulation in question is able to neatly piggyback on pre-existing product designs where appropriate, re-using digital data. The result, says Paul Davies, Jaguar Land Rover’s director of product development operations, is “powerful yet simple out‑of‑the‑box industry solutions to deliver business and engineering value across Jaguar Land Rover. As design progresses, DELMIA simulates and validates Jaguar Land Rover production environments virtually, including buildings, production cells and technicians, who are represented by lifelike digital manikins, explains John Knight Gregson, iPLM programme manager at Jaguar Land Rover. And the benefits have been considerable, he adds. Constructed to careful designs in order to maximise the cubic utilisation of transporter trucks at the same time as delivering maximum protection for the parts in question, these specialist containers can cost hundreds of pounds each. A fleet of such containers required to support a new product introduction can therefore add up to a hefty total investment. Simulating the use of such purpose-designed stillages and containers under varying conditions of demand and usage allows manufacturers to accurately fine-tune the numbers required, supporting confidence in the company’s ability to handle the projected workload and potentially saving money by eliminating ‘just in case’ ordering. 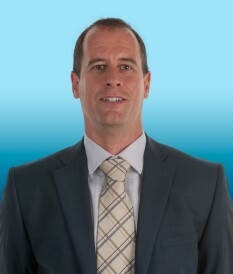 A similar logic underpins the growing use of warehouse simulation, explains David Vessier, head of simulation at TGW Logistics Group, a supplier of automated warehousing solutions. Using AutoMod, a 3D graphical simulation tool, Vessier’s team has routinely carried out simulations while fulfilling contracts to build automated warehouses for companies such as Marks & Spencer, Weetabix, Kimberly-Clark and Coca-Cola Enterprises. TGW carries out warehouse simulation for three distinct reasons, explains Vessier. First, simulation provides an element of internal quality control to the warehouse designs that the company is proposing to its clients. Second, the clients themselves may request a simulation, or want to have a model developed for them for subsequent use by their own people – a trend that is growing, he notes. And thirdly, simulation helps to optimise the use of resources, ensuring that the warehouse is equipped with the right number of fork lift trucks, for instance. A recent assignment for vehicle filter manufacturer Wix, for instance, saw Vessier’s team explore interaction of ‘shuttles’ and pick stations, and how various layouts impacted pick station performance. 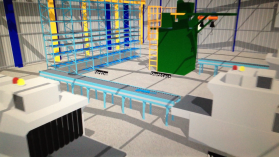 “The simulations allowed us to optimise the layout in terms of racking layout, pick station performance, and the allocation of orders to each pick station as well as the retrieval of totes from the shelving,” he explains. The increasing automation of warehousing and manufacturing is driving the next wave of development in simulation, says Leslie Lee, research director at the High speed Sustainable Manufacturing Institute. The basic idea: produce simulations which are portable enough to actually form the basis of operating instructions. A simulation of a robotic cell, for instance, or a process line, could actually then serve as the design for the thing, eliminating duplicated effort, and enabling the fine-tuned simulated process to be seamlessly translated to the factory floor. “If you have a simulation, why wouldn’t you want to put it on an HMI, and move from the virtual world to the physical one?” asks Mr Lee.